When your dog is the king (or queen) of kisses, you get used to wiping away slobber. He licks your face and arms, and some dogs pick up a habit of licking random objects like carpets, walls, and furniture. There’s also the chance you watch him lick his own fur for minutes on end. Either way, there comes a point when your dog’s licking goes from cute to concerning. If the pup in your life can’t seem to control his licker, it might be due to one of these reasons. If you bite your nails before giving an important speech, play with your hair when you’re bored, or fiddle with pens when you’re stressed, there’s a good chance you can relate to your dog’s obsessive licking behavior. Dogs often pick up habits when they’re trying to process emotions or take their minds off something stressful. Victoria Stilwell told Animal Planet that licking releases pleasurable endorphins that can be soothing in stressful situations. There’s a reason we call those slobbery licks doggy kisses. Mother dogs welcome their puppies into the world by licking them all over. They do it to clean them off and stimulate breathing, but the behavior also creates an affectionate connection between mother and pup. When your dog licks you when you come home from work, it might be his way of showing how much he cares. Dogs will do just about anything for attention, and they learn quickly how to get what they want. The first time your dog gave you a big, wet kiss, you probably squealed in delight. (Face it, humans love attention from dogs just as much as dogs love attention from humans.) Your reaction sent a message to your dog telling him that licking is a good thing. Even if you pushed him away, you still took a few seconds to focus solely on him. Your pup doesn’t necessarily care whether the attention he gets is positive or negative, all he wants is your focus. So when you react to your dog’s licking, you essentially train him to keep it up. This one is simple: dogs love to lick because they love to taste. They’re not afraid to taste test all the random objects in your home, and once they find a taste they like, they’ll go back for more. When you see your dog lick the carpet, for example, think about possible reasons why the carpet tastes good. Did your toddler spill their soup when you weren’t looking? Did you fail to thoroughly clean the spot where gravy dripped off your plate? If you did, your dog will know. And when your dog obsessively licks your arms, legs, feet, or face, he might be enjoying the salty taste of your skin. For most dogs, obsessive licking is a behavioral issue. There is the chance, however, your dog licks because of a medical reason. If he’s in pain, licking the sore spot can bring momentary relief. The same goes for when he’s itchy. Dogs with allergies often lick themselves to the point they rip out their own fur and make their skin bleed. If that sounds like your dog, it’s time to visit the vet. Until you learn to speak dog, determining the exact reasons behind your pup’s behavior will be tricky. It’s almost never obvious, and you’ll have to do a little digging to understand exactly what’s going on. If you’re struggling to get to the bottom of it, try these tips. Take note of when the licking starts. If your dog always starts licking at the vet, when guests are over, or when he’s bored, there’s a good chance it’s an emotional issue. Consider what your dog is licking. Dogs lick people, themselves, their toys, other dogs, and random objects you’d never dream of touching with your tongue. You can use the process of elimination based on what your dog usually licks. If he’s always licking your face for example, he’s not doing it because of allergies. Can you easily distract your dog from licking or get him to stop? 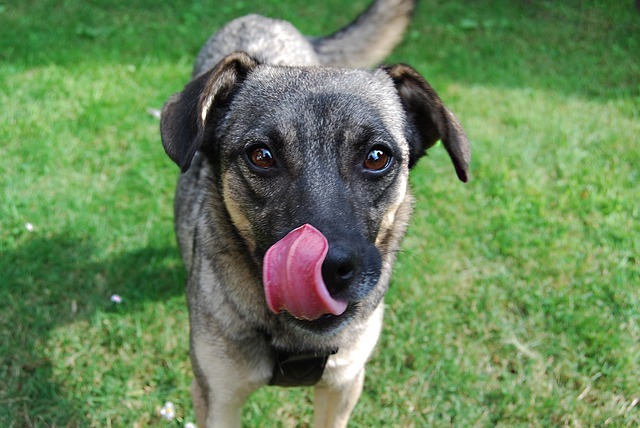 When you watch your dog lick, try experimenting with how focused he actually is. Call his name, make a loud noise, or crinkle a food wrapper to see if he stops. If it’s fairly easy to distract him, the licking might not be as obsessive as you think. But if he continues to lick without seeming to care what you’re doing, the issue might be more serious, like allergies or a medical condition. 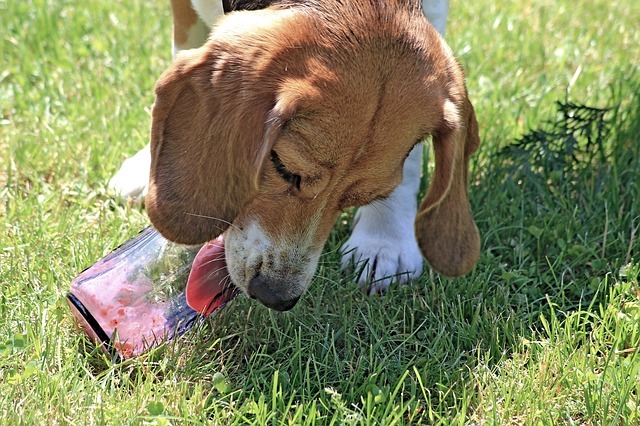 As long as your dog isn’t licking for a medical reason or causing themselves harm, there’s no reason to worry about their overeager tongue getting in the way of their well-being. But if you’d rather your pup keep their kisses to themselves, you can use positive reinforcement to modify the behavior. If you’re not a fan of wiping doggy slobber off your face, teach your dog that obsessive face licking won’t give him what he wants. Instead of reacting, simply turn away and ignore your dog every time he leans in for a smooch. When he’s snuggling with his tongue safely in his mouth, make sure he knows what a good boy he is. Eventually, he’ll learn licking earns him nothing but a cold shoulder. For pups that are bored and anxious, Pet Health Network suggests mental and physical enrichment. Puzzle toys, one-on-one playtime, and regular exercise will help keep your dog at ease. When he starts feeling better emotionally, the impulse to lick will likely fade away. Lastly, a vet specially trained in animal behavior is always your best resource when it comes to understanding your dog’s actions. 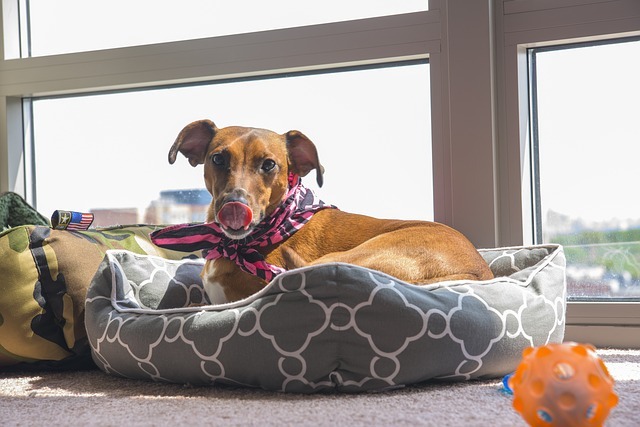 Putting an end to a habitual behavior can be frustrating, and you and your dog will both benefit from professional insight. Altering a dog’s behavior usually takes nothing more than time, consistency, and a good plan. But at the same time, it’s important to remember that licking is simply something dogs do. Asking a dog to stop licking completely is an unfair expectation. They won’t understand why they can’t do something that feels so natural, and it could cause unnecessary strain in your relationship. There comes a point when every pet parent needs to embrace the slobber.